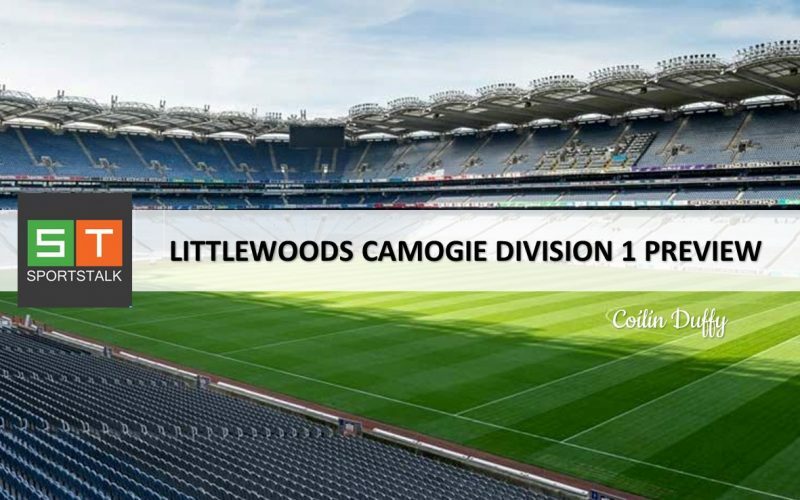 Reigning Littlewoods Division 1 Camogie League champions Kilkenny face an interesting couple of weeks ahead if they are to take a fourth title in succession in this competition. A four-in-a-row hasn’t been achieved in this competition since Cork’s incredible streak of seven titles back-to-back between 1995 and 2001; with Wexford coming closest in recent years, having annexed a three-in-a-row between 2009-11, only to lose the 2012 decider to Cork. The Cats are joined in the group stages by a Dublin team, who under new manager Frank Browne will be eager to make their mark, and a Limerick side who edged Waterford on score difference for a semi-final place last year. Clare will be eager to make their mark also, as will Offaly, and it’s the kind of group where one would expect Kilkenny to emerge as Group winners, but the second semi-final spot will be keenly contested, and realistically the difference between a second place finish, and the battle for relegation looks like being pretty tight. 2018 wasn’t a year to remember for Clare, but hope springs eternal for the coming year under new manager Ger O’Connell. The Banner County came close to a semi-final place last year, with two wins and a draw; but subsequently struggled in the Championship. Nothing comes tougher than facing the reigning champions in the first round, and it’s Kilkenny away in the first round. Clare have yet to etch their name on the Roll of Honour for this competition, but claimed Division 2 silverware in 2008; and Division 3 success in 2006, so they are certainly on an upward curve. A new dawn beckons for Dublin under new manager Frank Browne, who despite taking charge of a county camogie side for the first time has plenty of inter-county managerial experience, having been involved with Mayo Ladies Footballers and the Mayo and Longford hurlers in the past. Browne has included 16 new players in the squad of 28, and with a new management and plenty of new faces on view there’s a fresheness about this Dublin set-up. Undoubtedly though it’s also about the mix of experienced heads, and the inclusion of the likes of Sile Nic Coitir, who made her debut in 1997, brings a wealth of experience, not seen by any other current inter-county player across the 32 counties. The cream of the crop. It’s hard to see anyone stopping Kilkenny from topping this group at the very least, and their chances to take league silverware are extremely high. They may have lost Jacqui Frisby to retirement recently after a stunning 17-year stint with the Cats, but there’s no doubt Ann Downey’s troops possess a hugh strength in depth. It’s hard to look past Kilkenny again for League silverware, and this current group possess a strong chance of equaling the record set by their forebearers who picked up four-in-a-row between 1987 and 1990. League Prediction: Kilkenny to top the group and to go all the way for a four-in-a-row. The Limerick Camogie team were in the shadow of their Hurling and Ladies Football counterparts in 2018, after both claimed All-Ireland successes, but their were some positives to bring to the table from Declan Nash’s charges. The Shannonsiders have reached the last four Littlewoods Camogie League semi-finals, edging Waterford on score difference last year. But the Championship hasn’t been a happy hunting ground, since promotion in 2015 from Intermediate level. Another strong league campaign could aid them well to get things right for the Summer ahead. Like some of their counterparts in this group, there wasn’t much to shout about for the Faithful County for half of 2018. It was a bad league campaign for Offaly, who found themselves in the relegation zone with four defeats to their name. However, the Championship proved better for Mike Wall’s charges with two wins and some impressive performances.